High class pastry cooks and caterers were an essential part of the infrastructure of Georgian London. The most famous, of course, was Gunter’s in Berkeley Square but others included Parmentier’s in Edward’s Street (now part of Wigmore Street) and Farrance’s on the corner of Spring Gardens and Cockspur Street, a popular resort for ladies visiting the exhibitions in the Spring Gardens’ galleries. These luxury establishments were not cheap. This bill from Parmentier’s to a gentleman living in Harley Street is for a bottle each of orange and lemon ‘syrop’ and a dozen rout cakes and totals 18 shillings. Gunter’s establishment was in the south-east corner of Berkeley Square and was originally the shop of Dominicus Negri, an Italian pastrycook, who set up there in 1757, trading as The Pot and Pineapple. Pineapples, often referred to as ‘pines’, were an exotic luxury, so expensive that people would hire them to form the centrepiece at a dinner party and then return them, uneaten, the next day, so the name of the establishment hinted at its quality. 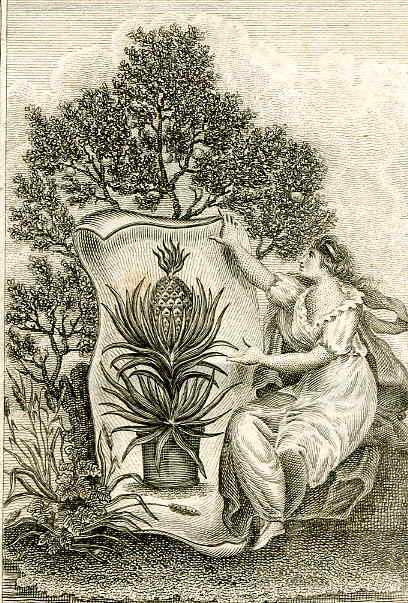 This pineapple below is from the frontispiece of Nutt’s The Complete Confectioner (1815). Negri took Gunter into partnership in 1777 and by 1799 Gunter had taken over the business. He obviously established his reputation for quality as this extract from The Morning Chronicle, 16 June 1801, shows. I cannot find any advertisements in the London newspapers for Gunter’s – possibly the glowing references in all the accounts of parties, masques and balls was sufficient. Mr Gunter kept a very fine house in the village of West Kensington, set in 30 acres of grounds which contained the kitchen gardens, orchards and hothouses that produced the vegetables, and more importantly, the pineapples and exotic fruits for the business. It was his ice creams that he is most known for today. They were made from fresh cream, fresh fruit and sugar and were sometimes frozen using ice shipped in from the Arctic as well as from English ice houses. During the summer the fashionable would drive their carriages to Gunter’s and the waiters would bring out the ices to be consumed under the plane trees that still shade the square. 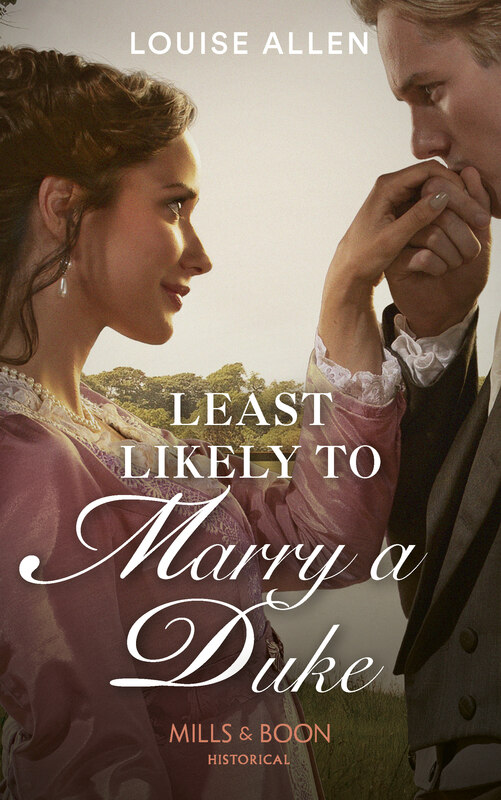 It was considered perfectly respectable for a lady to take tea with a gentleman there. Gunter also enjoyed royal patronage – if enjoyed is quite the right word. Between 1819 and 1828 the Duke of Sussex ran up unpaid bills of almost £700 with him! This print shows young ladies chosing their ices in a Paris confectioner’s. Gunter’s business continued until 1936 when the east side of the square was demolished and it moved to Curzon Street. By the 1950s the tea shop closed and the catering business continued, only to be shut down in 1976 as more modern tastes and budgets could no longer support the high style of the operation. 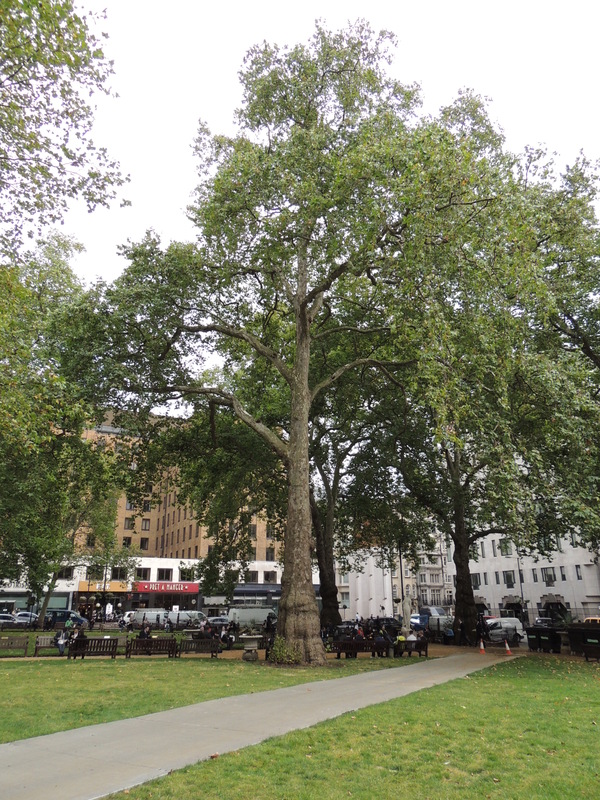 Today there is still a catering establishment on the site of the Berkeley Square shop, and the customers still take refreshments from there to eat in the square under the plane trees. In this picture of the square in 2013 you can just see the red sign – although what Mr Gunter would have made of Prêt is anyone’s guess!